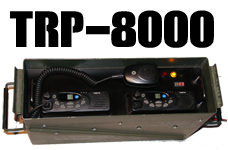 Timberline Radio Systems Ltd. is a North American Company with offices in Canada & The US. We specialize in the Engineering of VHF & UHF Radio Repeater Stations for the Industrial sector including Mining, Exploration, Underground Tunnels, Power Plants & Marine. Our presence extends around the world through small to medium sized projects. More than just another radio company... Timberline Radio Systems Ltd. was founded in 2007. Our product is the result of 30 years development in Electronics & Radio Technology, combined with many years working onsite in the service of Land Mobile Radio Systems, Radio Repeaters & Radio Equipment. We also Engineer Voice and Data Networks over Radio, Copper and IP Networks and provide complete IT Infrastructure Solutions. Specialists in Radio Repeaters, Alternative Electrical Energy Solutions such as Solar Powered, Low Current Transmitters that are efficient & ECO friendly. Our radio and digital products are custom designed and engineered exclusively, to meet the highest standards of our global clientele. Our company's focus has always been to supply "Best of Breed" technology, with particular focus on industries in remote, rural areas of operation. We service OffGrid, Industrial & Rural business in the USA, Canada, the Asia Pacific Rim as well as the South Pacific, Central & South America.